We have been incredibly busy expanding FitnessSyncer’s capabilities and data sources. This issue of our newsletter is chock full of exciting feature and updates! FitnessSyncer helps track your health and fitness data so you can visualize the results, get inspired by data, and stay motivated when the going gets tough. The power of FitnessSyncer is the ability to combine all your data, no matter the source, into one powerful system. And with no further ado, let’s talk features! You’ve been working hard, but sometimes, simply looking at the charts doesn’t show how much you have improved and what your greatest accomplishments are. Say hello to Your Best. Your Best examines all of your data and lets you know your highlights, (and your lowlights) from all of the information you have stored in FitnessSyncer! Celebrate your accomplishments or make adjustments to your routine. This feature is available to everyone, but Pro users can customize the date ranges such as to see what Your Best was last year or last week. Our newest feature is the Daily Analyzer. It displays a minute-by-minute view of your days, highlighting your sleep cycle — including what kind of sleep you had, your exercise, your nutrition intake, glucose readings, and everything that you track within FitnessSyncer. 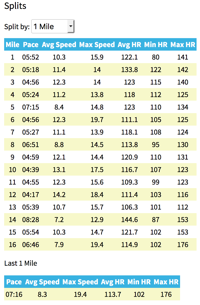 Daily Analyzer offers an interesting perspective and insight into your daily trends, such as perhaps discovering that you stir awake around 4:40 am every day. We have also provided a day filter, so you can differentiate known schedule changes such as weekends. 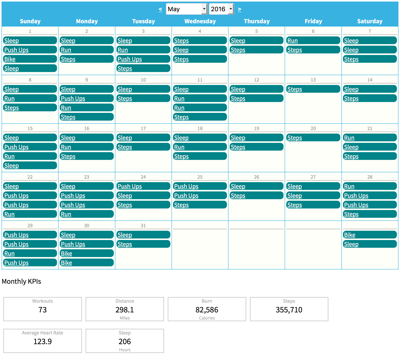 You can now see all of your data on a Calendar with Key Performance Metrics and the ability to export this information to popular calendar programs! Check it out! FitnessSyncer Notebook is a handy tool to record those important activities and notes that are not automatically tracked by a device. And it has received a lot of updates. 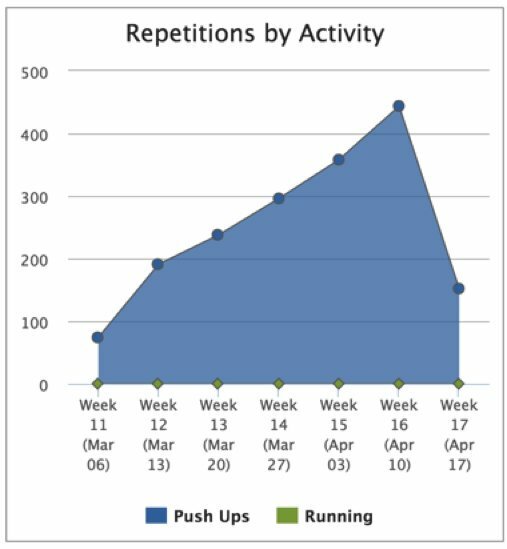 Do you do repetitive sports like Push Ups? Track your progress using FitnessSyncer Notebook and see charts in the Dashboard to help you visualize your achievements. Do you have a CSV file you have been keeping your data in? Upload it straight into the FitnessSyncer Notebook. Do you have health or fitness data that is sitting on your hard disk? No problem, simply use the FitnessSyncer Uploader to upload this data into FitnessSyncer Notebook and analyze it using all of our awesome tools. If you are a Pro user, you can now include all of the files for the period summarized in the e-mail as attachments, making it easy to share them with your coach. All of your activities have an in depth Analytics view that you can access from the Stream, giving you more insight to your health and fitness journey. You can now see the split times in smaller and larger time periods then before, including the ability to see the “Last Mile” to help you train for your next race. If you have a feed of your per-minute glucose and are a Pro user, you can now see this data in-line with your activity analytics. And now we support Heart Rate Zones. Configure your heart rate information under your Preferences and for any activity that has heart rate data to see the distribution of minutes per level. FitnessSyncer ShoeRenew is a great way to monitor the wear and tear on shoes and other equipment. And we have just added the ability to not only monitor the distance, but also the duration used! Whichever you choose, the remaining lifetime of your FitnessSyncer ShoeRenew items are also now available on the default Dashboard for all users. We have made a number of updates to the Dashboard, especially for our Pro users. 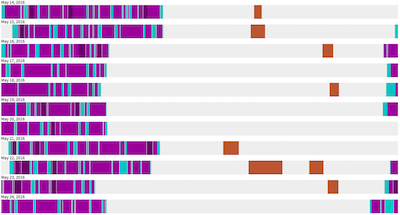 Historically, our Dashboard has only allowed our Pro users to select relative time periods. But sometimes you want to drill into a period period from, say, 6 months ago. Now you can! In the upper right corner of the Dashboard, you can now select the current date range and make updates to it. Our Pro users have always had access to unlimited customizable Dashboards, and we have enhanced our Dashboard editing capability, including the ability to customize chart titles, add subtitles, apply filters, new data summarization options, and more. Select Properties from the Gear menu. While you are customizing your dashboard, you may also want to look at the new visualizations available, including of your Sleep Debt, Distance Histogram, Calories Burned by Activity, Heart Rate Zones, and more! Fitbit is in the process of removing Blood Pressure and Glucose tracking from their API on, or around August 1, 2016. We will continue to support that data until then. If you want to save your blood pressure and glucose history, we recommend that you add a source to this data while it's still available on Fitbit, and push it to the FitnessSyncer Notebook. The Garmin Connect API is changing. We do not have more to share right now, but keep an eye out for e-mails with updates on how the changes will affect current users, and what modifications we're rolling out in the next few months. Synchronize your data when it’s most convenient for you, even every hour, instead of sometime overnight. Visualize your data, your way with custom visualizations, formulas, and more! Unlimited fitness cloud sources and destinations! Free accounts only support 5 sources and destinations. Only $3.99 per month or $39.99 per year. Subscribe Now! In addition to our FAQ, we have also added comprehensive documentation to help you get the most out FitnessSyncer. Keeping you motivated keeps us moving! We have many exciting features planned to help you reach your goals. Stay up-to-date by following us on Twitter or Facebook. We love to hear from you! Your feedback is an important part of our development strategy. Let us know what works, what doesn’t, and what features you would like to see. Thanks for using FitnessSyncer. We’re proud to be part of your health and fitness journey. For assistance, please Contact Us.